This bestseller has been completely updated to provide you with the answers that you need to find wonderful colleges and universities at more affordable prices. The second edition of The College Solution, which contains approximately 90% new material, is aimed at helping parents and teenagers become empowered consumers as they navigate through the college process. Billions of dollars are available to pay for college, but not everybody gets their share. It’s not always the families with the brightest students or the parents who are struggling financially who receive the most money. The College Solution shares the secrets of how you can capture some of this money for your own family. 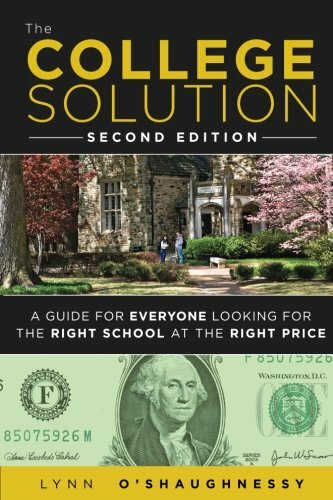 The book provides advice on such topics as financial aid, merit scholarships, athletic scholarships, admission hooks, the important differences between colleges and universities, college rankings, the best student loans and the latest online tools to evaluate the generosity of schools. O’Shaughnessy presents an easy-to-use, proven road map for getting past the ratings, and finding the right schools at the right price. No other book offers this much practical guidance on choosing and paying for college now – and no other book will save you as much money!